When it comes to photography equipment choices seems endless. Today, we have more selection of cameras and lenses than ever. Our fast lenses and cameras with digital sensors provide us with the ability to capture photographs in very low light. A new generation of cameras can shoot 20 frames per second while offering 4K video recording capabilities. What we most need is not cameras with more features but a well-grounded knowledge of how to use our lenses and cameras. This is why I wanted to share with you an article titled Leica M Camera Tutorial. Today, social media in the form of Instagram, Facebook offer platforms to share images with overnight “photographer celebrities” being coronated by a generation of smartphone users who oblivious to what aperture, shutter speed is on a camera. To make matters worse, with all the images uploaded to social media platforms there seem to be almost no guidelines to follow for improving photography skills. This is the reason; I wanted to write an article to return to studying photography as an art. I have also prepared a video to serve as a guide for those who wish to embark on improving their photography skills. In the test video, I explain exercise you can undertake to polish your photography skill as well as principles and ideas that have helped many professional photographers through their careers. Although I mention some of these ideas briefly in this tutorial video, you can do further research on each of these key points. My earnest advice to you is to attend a photography workshop whether it is through our seminars and workshops or someone else’s because by actively applying what you have learned in these photography workshops will you make leaps in your photography skills. Your instructor can guide you and explain to you many of the pitfalls that aspiring photographers fail to notice in their quest to become better photographers. A four or five-day photography workshop can give you the opportunity to advance your photography by years in a matter of days and help you make lifelong friends who share the same passion as you do. Photography is nothing new, it has been around for over a hundred years, but from the perspective of other arts, it is in its infancy. Some may suggest that it is a consanguineous sibling of painting. Principles of composition, the study of light and shadows still hold equal weight in photography as it does for painting as an art form. Our cameras are tools with which we use the light to paint images much like artists use their brushes and colors to paint. Questions like how light and shadow act upon the subject, how to place the center of attention on the composition, what to include and leave out are all answers we must find as we capture photographs. For example, I find that studying works of Rembrandt and Vermeer for composition and light to be essential in understanding in taking photographs indoors. As I examine their paintings, I imagine myself presented with their subject matter and setting. Then, I pose questions for myself like which position should the subject take with regards to the source of light, what angle is most suitable for composing the image. The idea is how would I recreate the painting the old masters have painted with modern tools. It is a mental exercise that I do on a regular basis. Simple things we often take for granted like the choice of lens, for example, would I use an 18mm, 24mm or a 28mm, what shutter setting would I prefer to capture the ideal amount of shadow and light are some of the exercises that I go through in my mind to understand what makes better compositions. Of course, times change the settings in which we photograph, but the study of aesthetics and principles of composition remain. It is the responsibility of the photographer to create images that are pleasing to our senses. This is why when professional photographers do weddings and portrait photography clients look for feedback from them. Giving direction is essential at times to capture images that tell a “better story.” All photography is storytelling; we attempt to do in our compositions. I also study photographs of legendary photographers. I recommend that you look into Magnum photographers like Ara Güler. How did he handle light and what made his photographs distinctly different than the rest, how do his images tell a story of their times and what elements they chose to include to relay a captivating emotion, these are the questions I look for answers. Obviously, some photographers were cast in situations where capturing great photographs was inevitable. If it was times of war or social upheaval or cultural revolution they were there to witness them and their cameras were their tools to tell their version of these stories. The question I often pose in my workshops is if you were in their shoes how would you have done, how would you have framed those shots, would you have taken out anything or include more of something. Also, the choice of lenses, would you have taken a 50mm or a 35mm lens to capture that portrait? What lens did Steve McCurry use to capture his famous portrait of “Afghan Woman,” and would you be able to tell by just looking at that image? These are the questions you may want to answer for yourself as you study legendary photographers. Can you recreate that image under different conditions? Answering these questions is more than a mental exercise, over the years I have found that answers also make me think on my feet when I am pressed for solutions under challenging circumstances. This is also a challenge you can undertake if you want to improve your photography skills. Today’s mirrorless and DSLR cameras are very advanced removing much of the thinking process required in composing and creating a photograph. For example, in “auto mode” most cameras render images far better than the average photographer can capture using manual settings. This is because technology has come very far in algorithms to calculate light sensitivity. Cameras now feature over focus points to capture accurate focus and compensate for amateur photographer mistakes. As much as cameras can help you in taking better images, they can’t make the most critical decisions like composition, framing, the moment when to capture the image. Leica M rangefinder cameras do something that most modern day cameras don’t do, and that is slow the process of capturing photographs. I think of it as “photography in slow motion.” For example, a Leica M10 camera allows you to think before you press the shutter button. You are bound to make decisions on which aperture and shutter you will be using or ISO setting that is most suitable to reflect your vision of what you see before your eyes. Whether you use a film camera or a modern digital camera like Leica SL, the process should always be the same composition, framing, bokeh and critical moment at which to press the shutter button. These points are the cornerstones of my photography teachings. They distill photography principles to the essence of what is required to compose beautiful photographs. In the end, everything depends on the photographer and not the camera. For example, if you are in a dimly lit space how much light you wish to “show” on the subject is a decision photographer should be making to deliver the “mood” which he/she wishes to convey. Otherwise, we would just be having cameras deciding what should be “ideal” way capturing an image. It is important to remember that cameras can’t tell you what to include or leave out of a composition. They merely obey your commands. As a photographer, you are still responsible for making the most critical decisions when capturing photographs. It does not matter if your camera can fire away 20 frames a second, if you don’t know what you are doing you will just have images but not stunning compositions. There will be times when amateurs will get lucky with one or two images that are pleasing to look at, but a good photographer is the one who can replicate results time and time again. Remember, our brains can’t “study” compositions at a rate of 20 frames per second, the speed of the camera is just a tool for you to capture “fast action.” I have used all makes of cameras. Today, I use Leica cameras more than any other because photography is an art form which requires the photographer to study the composition before him/her. He/she must make decisions on what to include in the frame, which aperture to use for that bokeh and most importantly when to press the shutter. 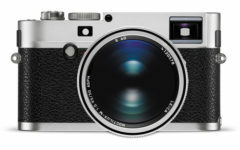 Leica M240 camera has been my choice for many years. Equally, Leica M10 delivers similar results, in my point of view not much has changed between the two generation of cameras in terms of photography capabilities. If you own any of these cameras, then I recommend that you practice composition and framing with a clear understanding of aperture and shutter speed choice. Your first step should be to take your shutter speed selection dial away from A – auto to a setting that you think the camera should be used to capture a correctly exposed image. This is called using the camera in manual mode. A photographer takes his/her time to make sure that the photographer he/she is after is well framed and correctly exposed. If you can get the photograph, you are after then all other images are not necessary. In a way, you are doing less work to get better results. In fact, you are doing what every photographer should be doing, thinking on his/her feet. This is why I say to my students, and workshop attendees use your cameras in a single shot mode to slow down the process of capturing images. Experimenting with different apertures setting will also change the “mood” of your photographs, try using the aperture dial on your camera. Remember, when someone begins to consciously make decisions on framing and aperture settings to convey a mood, a photographer starts to cross over that boundary where photography begins to take form as art. By understanding the fundamental elements of symmetry, a photographer can begin to compose better photographs. Rule of thirds, the study of Fibonacci numbers and their relationship to nature are all crucial components to understanding the way we see our world around us. This is why all I always include discussion on these key points that make compositions pleasing to the human eye with every group attending my workshops. I believe no photographer should be deprived of an understanding of the fundamentals of symmetry and esthetics because they are the base upon which all artistic compositions must be constructed. For example, changing of focal lengths changes the composition. The position of your subject in your frame has a critical importance in the way your photograph is composed. How much of the background do you include in your background is another important decision every photographer must make when capturing photographs. Ideally, you should not need to crop your images. Bokeh helps to isolate the subject from the background. In a way, bokeh creates a “three-dimensional pop” to your images. Leica Summilux and Leica Noctilux are both well known for their rendition of bokeh. Unfortunately, novice photographers assume that faster lenses deliver better bokeh than a slower lens. This apocryphal belief has resulted in a race for faster lenses without the consideration of how a lens renders bokeh. 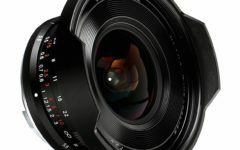 If you were to examine the photographs captured with a Leica Noctilux 50mm f/0.95 lens which you can find several reviews on our Leica Review website, you would see the smooth transitions between the out of focus areas. You will also notice the dramatic fall off from the in-focus to out of focus areas creating the illusion that the image is three dimensional. I mention this very important fact because most amateurs make the asinine mistake of purchasing fast third party lenses that lack the micro contrast and bokeh rendition characteristics of high-quality lenses from Leica camera. Once you have selected the appropriate lens for capturing your photographs, you should be concerned with the amount of bokeh you wish to add to your composition. The amount of bokeh is often a direct relationship between the subject’s distance from the camera, the distance behind the subject to infinity and the aperture settings in your lens. The other factors that have a direct impact on the way the bokeh is rendered include the sensor size of your camera and the lighting in your composition. This tri-principle is what every photographer must answer when composing photographs. Over the years, I have seen people with no understanding of photography capture photographs that are remarkable, but consistency is the defining factor that marks the difference between an amateur and a professional. A good photographer from an average one is what creates masters over years of a photography career. The question I would like to pose to you is “how much thought you had placed when you were taking that photograph?” because that would be one of the factors that will differentiate your photography from the average person. If you have gone through a decision process each time you take a photograph with regards to aperture, ISO setting, shutter speed, framing then you are your way of composing better photographs. Experimenting to move you out of your comfort zone is an excellent way to improve your photography. For example, if you have been a street photographer and used to photographing with a wide angle lens like Leica Elmarit-M 28mm f/2.8 lens then I suggest you use a Leica Summicron 50mm f/2.0 lens for a while even if you have to rent it a few days. It is an investment that will repay for many years to come. In fact, once you return to using your Leica Elmarit-M 28mm f/2.8 lens your understanding of the lens and the way you use it will alter dramatically. Dynamics of your photography will also shift as your experience with experimenting with different focal lengths and speed grows. You may be thinking that you were applying principles of “zone photography” when you had dialed your lens to f/11 or f/16 to capture photographs. What you were doing was playing it “safe” to ensure that your photographs were in focus. Using a long focal length like a Leica Summicron 50mm f/2.0 lens for street photography, for example, would pose new challenges not only in terms of composing your photographs but also with focusing at aperture wide open. If you are up for the challenge to improve your “zone photography” techniques, then experiment with using your lens at its widest aperture and estimating the distance between your subject and your camera to capture in focus photographs. I find that when a photographer moves out of his comfort zone, he/she learns new things, improves photography skills and techniques. It is an eye-opening experience which often leads one to think how did I not know this before. Once one can take better photographs, there is no way to turn back. The newfound knowledge will shift the way a photographer captures photographs. On many of my street photography workshop, I challenge everyone to try out a different focal length than the one they are used to using and experiment with getting closer to their subject. When you return home that is when your work actually begins because you should be checking your photographs to see what you could have done better. It is also a good point to have someone who is more experienced than you are to look at them and give you feedback. This is one of the best ways to see your errors and shortcomings. Experimenting can also lead in the direction of choosing more challenging subjects or different ways of composing images. Each time one ventures out of his/her comfort zone it is an opportunity for growth. So, I invite you to experiment. This simple exercise has often resulted in capturing more pleasing photos. One a photographer gets close to his/her subject to take a shot he/she conveys a more intimate relationship with the subject. It is a way for us to identify with the person more closely, see their world, understand their emotional state. In my Hong Kong Photography workshop, one attendee conquered his fear of photographing strangers simply by using a focal length that allowed him to capture photographs in the crowded street of Hong Kong. Without exception, everyone who tried to use a wide aperture or a different focal length or both gained a new understanding of how their cameras operated. Consequently, their photographs improved drastically within a matter of few days, often pushing past our comfort zone opens new doors in the way we go about (modus operandi) capturing photographs. If you are persistent with taking the time to critique your photographs you will soon find ways to improve your photography. It may be a simple as choosing a more appropriate aperture or a way of holding your camera that is more stable whatever it is it will go a long way in making your skills as a photographer grow. Each day if you improve on an aspect of your photography you have gone forward as a photographer. Even today, after 20 plus years I am still looking to capture my best photographs. Each day I strive to improve at least one aspect of my photography. That is the attitude I recommend to an aspiring photographer. Here are also a few links to my favorite lenses for street photography. PLEASE HELP US IN BRINGING YOU INDEPENDENT REVIEWS AND ARTICLES. BY DONATING YOU ARE HELPING TO KEEP THIS WEBSITE INDEPENDENT.